I am a master at slow reading. This is not because I wish to decelerate the pace of modern life, but simply due to the frenzy of the holiday season. I've had a wonderful but busy time with family and friends, and consequently I did not have as much reading time. This morning I slept in, and decided to participate in this marvelous meme, created and hosted by Sheila from Book Journey, First Book of the Year, at the last second, although I've kept it in the back of my mind since I first read about it (the adorable button is reason enough to join in). My first book of 2015 is a novel by Lynne Hugo, A Matter of Mercy, which I'm reading for a TLC book tour. I started this book a few weeks ago, and I'm still reading it (I have a few more chapters to go). Please stay tuned for my review of it later this month. Happy New Year! I hope that 2015 will be a healthy and fortunate year for us all. Thanks for reading! I am a slow reader too, Suko. ENJOY your first day of reading in 2015. I love this annual post. I found a few new books and a few new blogs to check out. I am so glad you joined in Suko! Look at the beautiful weather you are having! Happy New Year and happy reading! I've been the same way the last couple of weeks. I'm jealous that you're sitting in the sunshine in short sleeves. Happy New Year! Enjoy your book! It looks good...and it is great to savor a book. Thanks for visiting my blog, and have a great year. It looks nice and sunny where you are reading! Enjoy the sunshine and the book. Happy New Year. Fab photo! Hope you enjoy your book! Wonderful photo Suko. I hope you love your first book of 2015. I will look forward to your review. Happy New Year! My reading really slowed the past few weeks. Enjoy your first book, Susan. Happy New Year! Happy New Year, Mary! Thank you for leading me to discover the Sparkling Cinnamon scent--I am now addicted! Happy New Year!!! I hope that you have had a wonderful holiday! I love taking my time with a book here and there....it is something I don't do enough! Enjoy! 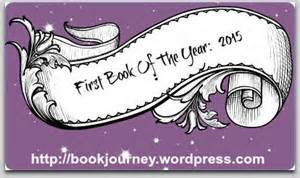 Happy New Year and enjoy reading your 1st book of 2015!! Nice picture - the weather looks lovely! I hope you enjoy your book. Happy New Year and Happy Reading! My reading definitely slowed down with the holiday and than I took a break because I don't like having carry over books. It's nice to be back reading! Happy New Year! Enjoy your lovely weather! It looks like a nice day to be sitting outside with a good book! Katherine, it was actually a bit chilly out today, a tad warmer in the sun. We are having colder than usual weather here, and snow in the mountains. Thanks for stopping by! Thanks, Laura! It's nice to have extra time to read. Happy New Year to you and your family! Enjoy the read and have a very happy 2015. First Happy New Year again. Lol. Secondly I am so jealous that you are sitting in the sunshine! We're having another winter storm :(. This is a great idea for a meme. I too have been thinking about first books of the year. I also read much slower then I would like to the pace of life. Happy New year to you and your family and happy reading in 2015. Look at you sitting outside. It is 11 degrees here! I would be bundled so much you wouldn't be able to see me! Looking forward to your review. Happy New Year! Love the photo, you look healthy and happy!! I'll have to check the book out as I have no idea what it's about. I hope you are enjoying it! Hope you are enjoying your book! Love your picture - what a nice view!!! Happy New Year Suko!!! Great picture! Enjoy your book and Happy New Year! What a nice meme, I like the idea of focusing on the book that brings us our first for the year. Will look fo your review. Wishing you a happy, happy New Year to such a loyal blogging friend. (Love the picture and enjoy the book). Happy new year to you and yours too! I've been reading slower the past few weeks too... and slow on the comments also! Looks like you had a beautiful day to enjoy your book. My first book of the year was a continuation too, not a brand new one for the brand new year. You do such a marvelous job for reviewing the books on tour,mSuko,mand bringing to our attention the newest titles. Also, a huge thank you for being one of my top commenters Chez Bellezza. It is a goal I aspire to: far better commenting in 2015! Happy New Year! Always a busy time of the year,I only got so much reading done because several of my December books were very short children's books. Sounds like a fun challenge. Here's to a prosperous 2015. I hope you are enjoying your first book of 2015. I've been busy the last few days, so am just getting around to visiting today and seeing what everyone else started their new reading year of 2015 off with. I hope you have a great reading year in 2015. Also thanks for visiting my little corner of the reading world recently. 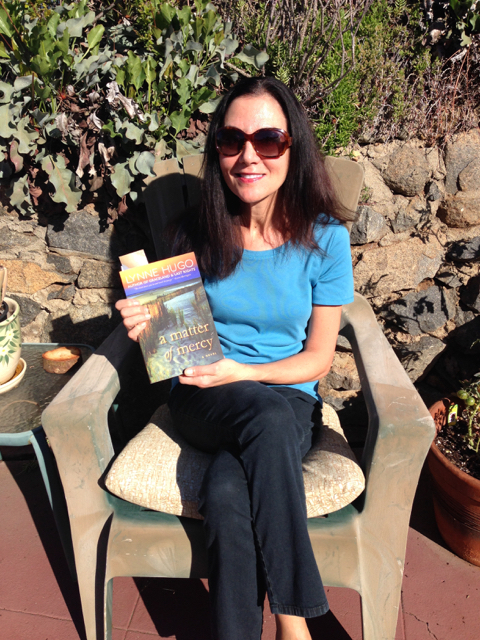 I hope that you are enjoying your first read of the new year Suko! I just finished my first book and it was a great way to start off the new year!!! I can't wait for your review of this one!